IN her book, The Struggle for Pakistan: A Muslim Homeland and Global Politics, Ayesha Jalal writes about Gen Agha Muhammad Yahya Khan, who imposed martial law after replacing Gen Ayub Khan in March 1969 as president of Pakistan when the latter was forced out by street protests, that Yahya was a “boisterous fellow and determined drunkard [and] had a penchant for cavorting with abandon”. Perhaps many would still remember Yahya for what Jalal calls his “nocturnal activities”, since they “were the talk of the nation”, and ‘General Rani’ became part of what she calls “elite gossip”. However, it is more probable that today Yahya Khan is remembered for two extraordinary developments that took place under his watch: the elections of 1970, and the subsequent massacre in East Pakistan, leading to the separation of the latter and the creation of Bangladesh. He played a key role in both events. Of course, Yahya, even if indeed he was perpetually inebriated, was not the lone player in what happened in 1970-71. Two other actors, Zulfikar Ali Bhutto and Sheikh Mujibur Rahman, played critical roles as well. It was the numerous contradictions which emerged from the Decade of Development’s capitalist logic under an authoritarian military state which gave rise to the regional, social, economic and political discontent of the late 1960s, forcing Ayub Khan’s resignation in Pakistan’s first popular uprising. In West Pakistan, while it was Baloch and Pakhtun nationalists who were demanding the end of the One Unit, it was Bhutto who led students, the working classes and sections of the newly emerging middle classes against Ayub. While some scholars have read too much into the Bhutto agitation, stating that Pakistan was on the verge of a socialist revolution, his not being Punjabi and having already publicly parted ways with Ayub after Tashkent in 1966, saw Bhutto emerge as the dominant voice in West Pakistan opposing military authoritarianism of which he was once a part. 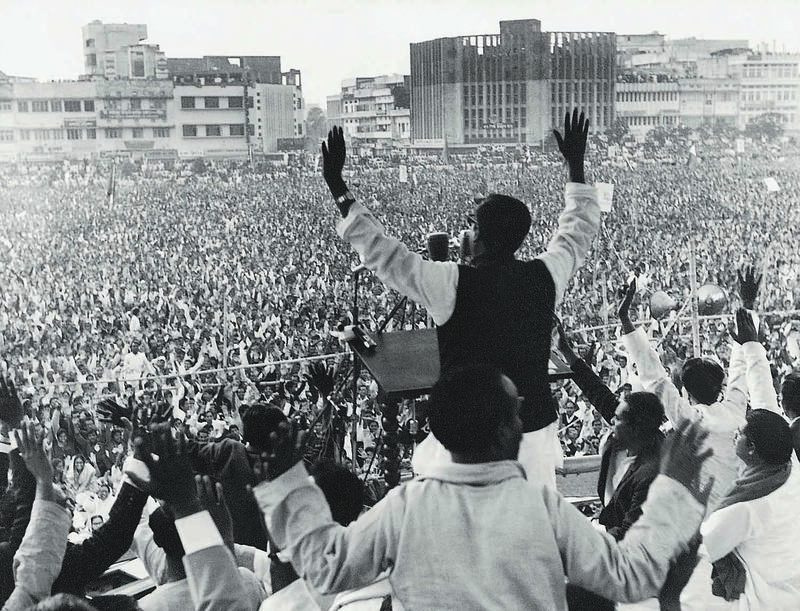 In East Pakistan, even though Maulana Bhashani spoke for the peasants of the province, it was Sheikh Mujib, who, after raising his Six-Point Programme in 1966 for democracy and greater provincial autonomy, and who was implicated (but later released) in the Agartala Conspiracy Case in 1968, was fast emerging as the main voice of East Pakistani/Bengali nationalism when Ayub was forced out. It is important to state that while some Bengali voices were challenging the unity of Pakistan, Mujib, at this political juncture, was still in favour of a united, democratic, federal Pakistan, despite the growing realisation in the eastern wing that East Pakistan had by now become a mere colony of West Pakistan. 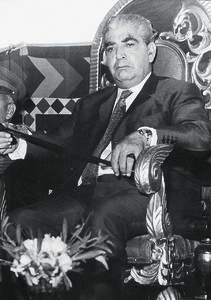 Under these circumstances, led by charismatic and populist leaders who had sat through 11 years of military rule, Yahya Khan announced elections for October 1970, doing away with the One Unit, giving the majority province on the basis of its population 162 seats in a parliament of 300. Yahya had imposed martial law when he took over from Ayub, and the military and bureaucracy were busy influencing political parties and elements that were eager to test their popularity. Historians examining Yahya’s decision have argued that it was based on reports by military intelligence which stated that no single party would win a majority in parliament, and, with a hung parliament, real power would still reside with the military-bureaucracy oligarchy. Due to monsoon rains in East Bengal, the government postponed the elections by two months. The polls were announced for Dec 7. However, a devastating cyclone in November 1970 in East Pakistan, which claimed the lives of close to 200,000 people, sealed the fate of the elections and, in retrospect it seems, of Pakistan. East Pakistanis were appalled at the response of the predominantly Punjabi-Muhajir military-bureaucratic administration in dealing with this crisis, and East Pakistani politicians, with just a few weeks to go for Pakistan’s first elections, were eager to point out how irrelevant Pakistani Bengalis had become to the ruling West Pakistan clique. Academics studying the process of democratisation in Pakistan have argued that one of the many reasons why elections were never held in Pakistan was the fear of the Punjabi-Muhajir elites, and of their military-bureaucratic alliance, that with East Pakistan’s majority population universal franchise would always result in a majority of seats from East Pakistan. The 1970 election results went further in confirming these fears. 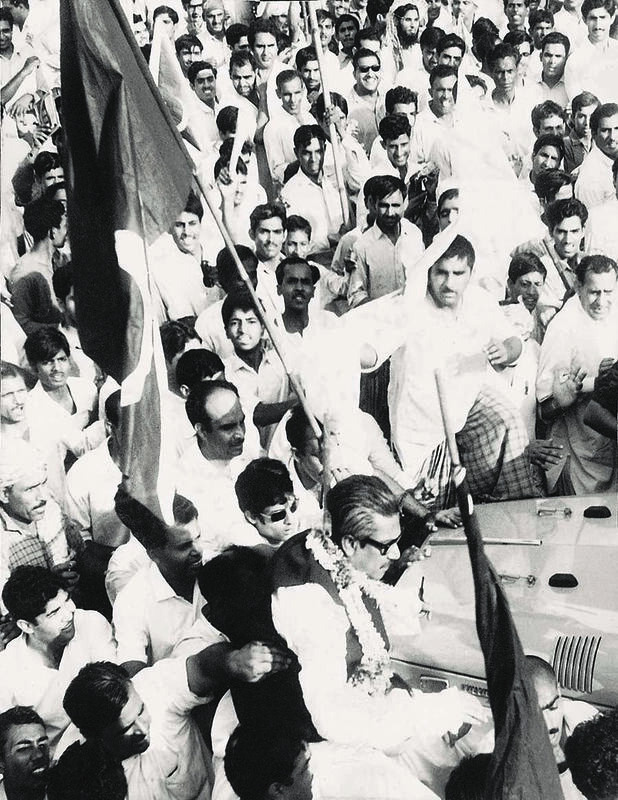 Sheikh Mujib’s Awami League won 160 of the 162 seats in East Pakistan, giving it a majority in united Pakistan’s parliament. Bhutto’s Pakistan People’s Party won 81 seats out of 138 in West Pakistan, becoming the majority party in West Pakistan, mainly from Sindh and Punjab. The critical outcome from the 1970 elections was that neither of the two largest parties won a single seat in the other wing. Electorally, Pakistan stood divided. While the military’s Operation Searchlight in East Pakistan started in March 1971, the short period following the elections until the brutal military operations, clearly showed how the egos of a handful of West Pakistani politicians played out and were matched with the incompetence and unwillingness of the military leadership in understanding and addressing political issues. United Pakistan just might have been saved in these few weeks had the Punjabi-Muhajir military-bureaucratic leadership allowed the results of the 1970 elections to be honoured. But this would have gone against their very own genius and their core material interests. Moreover, there was one particular popular democrat who refused to acknowledge the democratic mandate which did not entirely suit him. Soon after the election results, there was talk of having two prime ministers for Pakistan, with Bhutto apparently having agreed. Yahya, on the other hand, on a visit to Dhaka, called Mujib the “future prime minister of Pakistan”. On his return to West Pakistan from Dhaka, Yahya flew to Larkana to meet Bhutto, who advised Yahya not to give control of the National Assembly, and, hence, of Pakistan, to Mujib. Bhutto flew to Dhaka to meet Mujib, but talks had clearly failed between the two. Shuja Nawaz in his Crossed Swords writes that there were many senior generals who were willing to “back Bhutto”. Clearly, the electoral winner in West Pakistan and the generals were not willing to honour the election results and a major political and constitutional crisis was at hand. Bhutto famously remarked that “a majority alone does not count” (ironically, words which would haunt his daughter in 1988), and further made one of his many famous statements, threatening to break the legs of any West Pakistani elected representative who proceeded to Dhaka — “tangain tore doon ga” — to participate in the National Assembly session called by Yahya on March 3, 1971. It was Bhutto, again, who later uttered words that led to one journalist coining the famed headline: ‘udhar tum, idhar hum’. After repeated failed attempts to call the National Assembly meeting and with talks completely having broken down, Operation Searchlight was launched by the military on March 25, 1971, under Gen Tikka Khan, with both Yahya and Bhutto still in Dhaka. 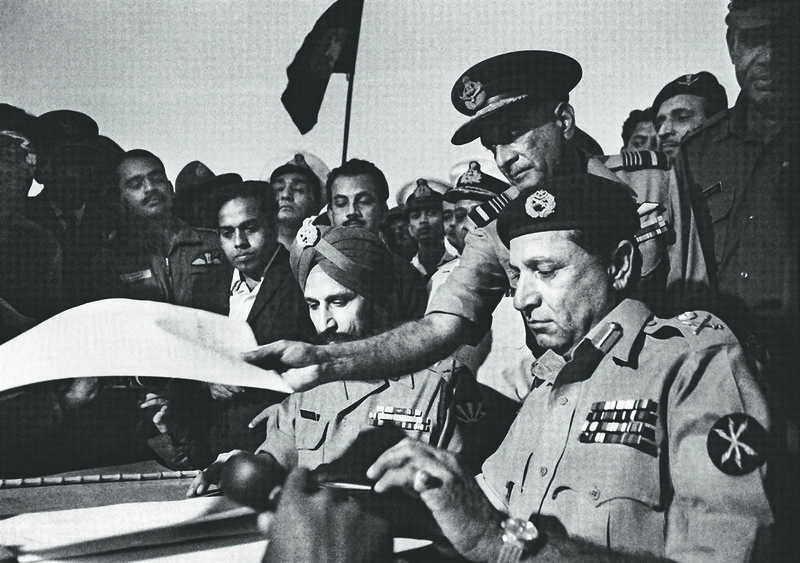 There has been a great deal written by Pakistani military men and historians, as well as by Indian and Bangladeshi academics and scholars, on what happened in East Pakistan between March 25 and Dec 16, 1971. While versions may vary, as do number counts — of casualties, massacres and rapes — there is broad consensus, especially among Pakistani authors, that the scale and nature of atrocities conducted by the military was on a horrific scale. 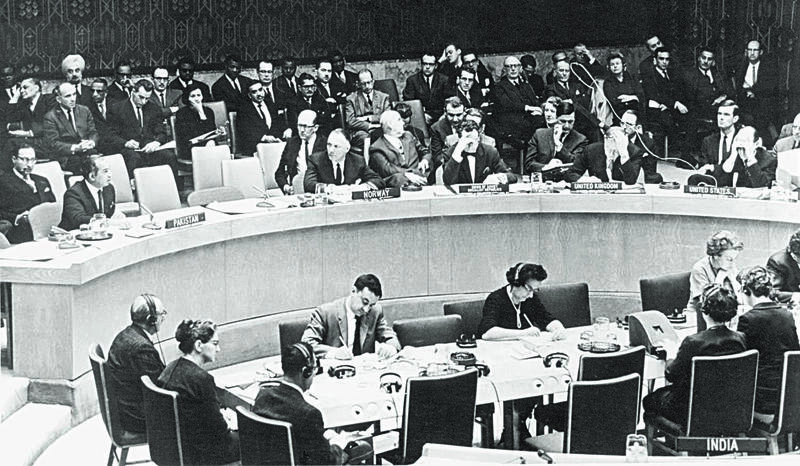 Zulfikar Ali Bhutto at one of the several United Nations Security Council meetings ahead of the fall of Dhaka. | The Directorate of Electronic Media and Publications [DEMP], Ministry of Information, Broadcasting & National Heritage, Islamabad & Karachi. A Pakistani journalist who worked for the Morning News in Karachi, Anthony Mascarenhas, wrote for the London Sunday Times on June 13, 1971, an article simply entitled ‘Genocide’, which revealed to the world the atrocities committed in East Pakistan. Yet, while George Harrison of the Beatles organised a concert for Bangladesh, the US and other world powers, turned a blind eye to what was happening in East Pakistan. As the massacre took place in East Pakistan, Henry Kissinger and Richard Nixon did “nothing, intentionally”, as documented in Gary Bass’ book, The Blood Telegram, based partly on a telegram sent by Archer Blood, the then US consul general in Dhaka, who warned of what was happening. The Americans at the time were courting Mao’s China and Pakistan mattered to them, for it was the conduit for what later became known as ‘ping-pong’ diplomacy. China, too, kept out of Pakistan’s “internal affairs”. Military action in East Pakistan continued from March to early December, with a Bangladesh government-in-exile based in Kolkata (Calcutta at the time). A pretty large number of non-Bengalis, mainly Biharis, were also killed by those who were part of the Mukti Bahini fighting their war of independence, and hundreds of thousands of East Pakistanis fled across the border into India. Millions of refugees fled East Bengal with bare belongings in search of safety. | Photo: Raghu Rai. Eventually, India launched a military attack on East Pakistan in November, with (West) Pakistan attacking Indian territory on Dec 3. Despite the fact that West Pakistanis were told as late as Dec 14 and 15 that they were winning the war, on Dec 16, 1971, Gen A.A.K. ‘Tiger’ Niazi, GOC, East Pakistan, surrendered to the Indian troops led by Gen Jagjit Singh Aurora in Dhaka. East Pakistan had now formally become Bangladesh. Not just had there been yet another partition in the Indian subcontinent, but Jinnah’s ‘two-nation theory’ had also come undone. Shuja Nawaz writes that it was a corrupt military’s “wishful thinking”, a military which had become used to the “culture of entitlement”, “clouded by blissful ignorance and liberal doses of alcohol” which led to Pakistan’s debacle, but it is evident that there were at least three clear stages of events leading up to the eventuality of Dec 16, 1971. By not acknowledging the wishes of the electorate, Bhutto and his backers in the military created a crisis which the military then dealt with in the only way it knew how. Elite interests in West Pakistan were unwilling to give democracy and the people their mandate. While West Pakistani politicians are responsible for the constitutional failure, it was only the military leadership which was responsible for the massacres that took place in East Pakistan. Sadly though, not many West Pakistani intellectuals or political leaders protested and opposed military action in East Pakistan. Their silence makes them complicit in the killings. India helped East Pakistan become Bangladesh in the last few months of 1971, but was not responsible for the conditions between 1947 and 1970 which led to the breakup of Pakistan. External forces can only build on local fissures and take advantage of conditions created domestically, and India did just that. Since 1971, one has heard of the great saneha of East Pakistan, yet perhaps lessons are still left unlearned. While the separation of East Pakistan brought about democracy in the truncated Pakistan which survived, events in 1972 and 1973, once again, and despite a democratic dispensation, brought to the fold issues of greater centralisation against so-called regionalism and provincialism, with little accountability and retribution of those who were responsible for the breakup of Pakistan.